Waves for Change Mission Statement: ​W4C is a multi-award winning non-profit providing child-friendly mental health services in communities where mental health services are under-resourced & stigmatized. W4C provides vulnerable children with caring adults, safe spaces, challenging tasks and surf therapy sessions, helping youth regulate behaviour, cope with stress, build healing relations and make positive life choices. 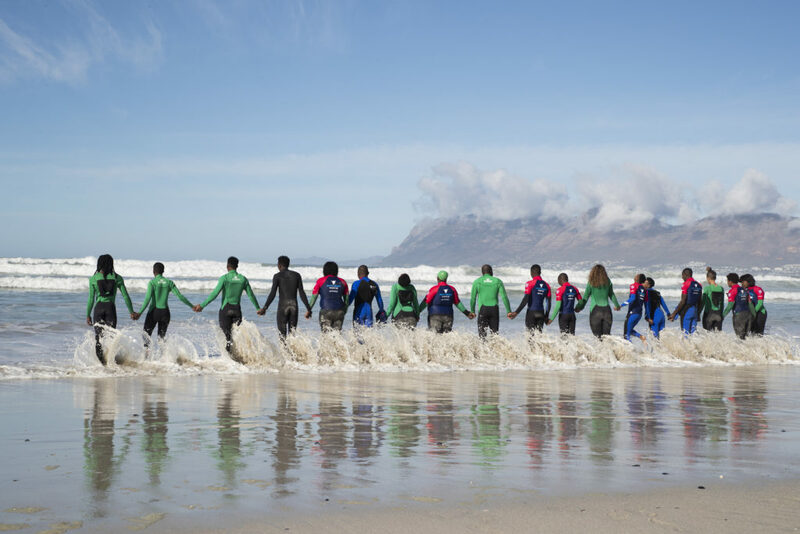 W4C delivers programmes in South Africa and Liberia, operates partnerships in Somalia, and convenes the International Surf Therapy Organisation annually. for Change seeks a dynamic and experienced Development Director to help W4C cement the long-term future of Surf Therapy as a global health intervention. As Development Director, you will join our recently established Global Team. Working between our South African, UK and US foundations, you’ll join our global mission to increase access to Surf Therapy globally, improve the evidence base for Surf Therapy globally, and increase funding for W4C & Surf Therapy programming both in South Africa and Internationally. will have a network with Sport and Development portfolio heads within major donor and aid agencies. (EG: UN, USAID, UNICEF, Save the Children). Finally, you will work in partnership with W4C MEL​ team to identify new outcomes from Surf Therapy programming, coordinate new research and release presentations and publications that increase the evidence base for Surf Therapy globally. As a key member of a successful NGO developing out of start-up phase, you contribute to strategic decision making relating to organisational expansion. Africa, UK and USA. 7 Million ZAR – 21 Million ZAR in 3 years. Foundations in US, UK and SA. from 800 children per week in 2018 to 5,000 children per week by 2020.
abstracts for presentations at conferences, in journals, on print / online platforms worldwide. ● Demonstrated experience of developing strategic partnerships to scale programming. Salary & Benefits​: Competitive salary based on experience. ● Individuals must have working visas / residency in either SA, US, UK. recruitment@waves-for-change.org by March 1st, 2018.